The 125-day Bhim Yatra concluded in Delhi on the eve of Ambedkar's birth anniversary. What was it for? 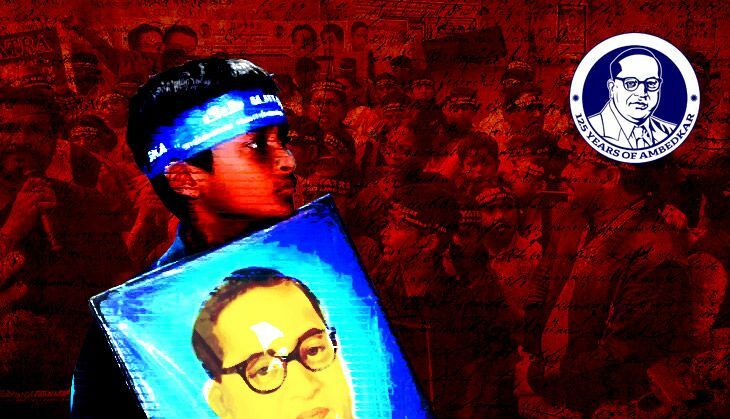 The Bhim Yatra is back in Delhi just in time for BR Ambedkar's 125th birth anniversary. The busful of Safai Karamchari Andolan activists have been on a 125-day tour of 500 districts across 30 states to take Ambedkar's teachings to the masses. , the International Human Rights Day, and ended on April 13, the eve of Ambedkar's birth anniversary. "What better way to celebrate Ambedkar's birthday than to take his message to the people of this country," says the national convenor of Safai Karamchari Andolan Dr Bezwada Wilson. "That is what the Bhim Yatra has done in his honour." The overarching message of Bhim Yatra was: "stop killing us". The key demands: elimination of manual scavenging, end to deaths in sewers and septic tanks through the introduction of mechanised cleaning, fair compensation for the families of those lost to manual scavenging. The journey itself was a source of strength, awareness, healing and coming together for the Dalit community. Each evening, after Bhim Yatris gathered with local communities to discuss issues pertaining to their rights, livelihood and justice, one of them would read poetry from Dalit poets - some famous, others relatively unknown. Here's a sample collection of poems read during the course of Bhim Yatra. Subside in a moment when they shed. Dimly remember the time before she conceived. Saying: world, now I see you for myself. Set fiercely to work again. Take just a moment to subside. We will cry for the sky too. They used to gulp down a piece a day in the name of yagams. It slides down the guts, so ticklish, my brother! It wafts around a dozen houses. I miss myself, my brother. In Delhi, civil society members met President Pranab Mukherjee and gave him a letter to end manual scavenging, stop sewer deaths. The letter quoted the poem below and said "Prahlad Chendwankar's 'empty advice' almost matches the what we are getting from this government". The (empty) advice of peace?